Grand Hotel Paradiso price per day from € 147 Located 1 km from the beach in Catanzaro, Grand Hotel Paradiso offers elegant rooms, a spa with a gym and an outdoor pool. Guests can relax at the spacious Wellness & Spa, which features a steam bath, a sauna, and a hot tub. Residence Hotel La Taverna price per day from € 40 . Casa Di Arturo price per day from € 30 Set 200 metres from the beach in Ardore Marina, Casa di Arturo offers self-catering accommodation with a balcony. The kitchen includes an oven, electric kettle and refrigerator. 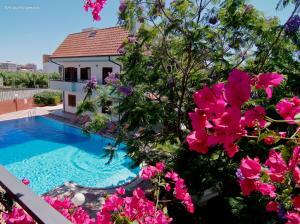 Villaggio Tramonto price per day from € 36 . Cheap accommodation Sibari, 62 square meters, recommended by travellers ! 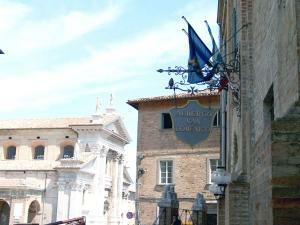 Residenza Il Duomo price per day from € 80 . 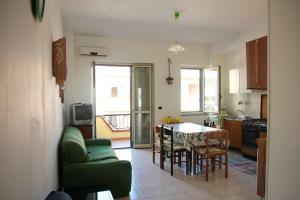 B&B Barbieri price per day from € 90 . B&B La Vecchia Stazione price per day from € 30 Located in the town of Gioiosa Ionica and 5 km from the Ionian coast, B&B La Vecchia Stazione is a family-run B&B offering air-conditioned rooms with free Wi-Fi and a continental breakfast buffet. The classic-style rooms feature a flat-screen TV, fridge and tiled floors. Some rooms overlook the sea, while others have a mountain view..
La Locandiera price per day from € 50 . Hotel Palazzo Bruni price per day from € 70 .